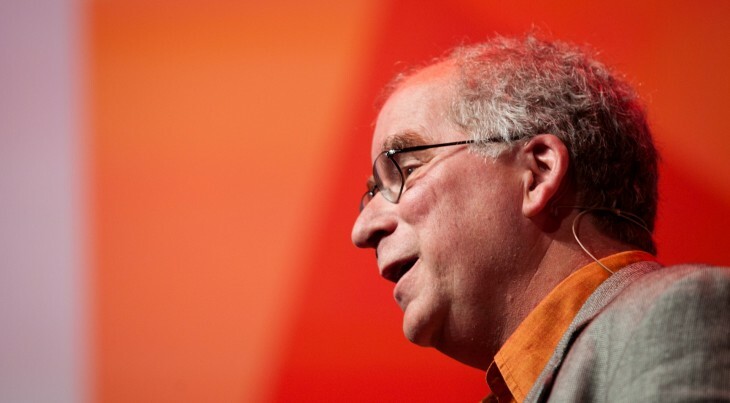 Brewster Kahle’s Internet Archive has been charting the Web’s evolution since 1996. Anyone wishing to return to the Yahoo of the mid-1990s or the Google of the early noughties merely has to punch the desired URL into the wonderful Wayback Machine, and boom. There it is, in all its (former) glory. But the Internet Archive is much more than a visual public record of the Web of yore. It provides permanent storage of, and free public access to, collections of digitized materials, including websites, music, moving images, and around three million books. Besides the gargantuan digital repository, however, Kahle was also the chief engineer responsible for the Connection Machine, and developed WAIS, one of the Internet’s first publishing and search systems prior to the World Wide Web. At the TNW Europe Conference in Amsterdam yesterday, Kahle was in the house to discuss how the Internet has evolved a myriad of non-profits that are “more than trade groups”, serving as major players on this thing we call the Internet. These include the likes of the Wikimedia Foundation, Mozilla Foundation and Linux Foundation, as well as the Internet Archive itself. While much of his discussion centered on the subject of how ‘open source’ is well suited to the Internet, Kahle discussed some of his more recent initiatives. And one of these things relates to housing. The Internet Archive garners around $12m a year from donations and such like, with much of the money ultimately going towards this commodity called ‘people’. And what’s the number one thing these people need money for? Yup, you guessed it – housing. It’s an interesting idea for sure, one that’s perhaps akin to the social- or public-housing structure that’s prevalent in many parts of Europe – paid-for or subsidized housing for people to live-in. It’s also a similar idea to what exists within some sectors – for example hospitals or churches often own accommodation for workers to live in. In Kahle’s case, it’s all about the non-profits. He’s set up a separate organization called the Kahle-Austin Foundation House, which currently owns a single apartment building in San Francisco. It will serve as an experiment of sorts, and will have two distinct kinds of occupiers – market-based rentals for normal San Franciscans (the properly has residents living there already), and cost-based licensees that work at around 30% of the typical market-rent. These will include Internet Archive employees, as well as other select non-profits. In a nutshell, they’re exploring whether they can use the principles of open source software to build licenses to perpetuate something that the market would otherwise destroy, and they’ve implemented a community-license so the building can’t be sold again. “It sort of permanently pulls it out of the market,” he says. Kahle has also founded the US-focused non-profit Internet Credit Union that has seen him have to learn about the finer intricacies of the financial industry. And he regaled an interesting-if-sobering story of the inherent resistance against the fledgling cryptocurrency revolution. Kahle has been on board with Bitcoin for a few years already – the Internet Archive accepts it as donations, while staff can elect to receive part of their salary in the digital currency too. But when he opened up his credit union to Bitcoin transactions, things took a rather unpleasant turn for the worse. With Bitcoin now out of the equation from the credit union perspective, Kahle and Co. are now having to take it a little slower, sticking to the traditional banking conduits for now. But he hasn’t ruled out trying to reintroduce some of these “newer ideas” in the future, when the powers-that-be are a little more ready for it.